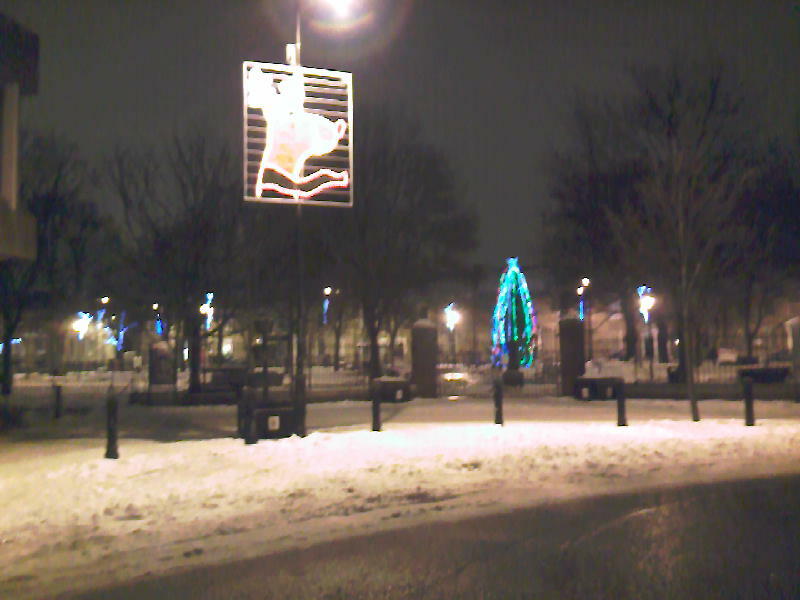 When the Christmas lights were switched on in North Shields, St Columba’s played its part. 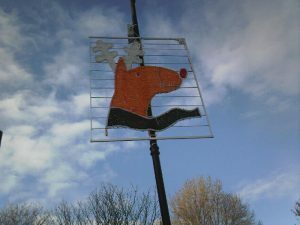 North Tyneside Council held a competition amongst local schoolchildren, and the winner was a 14-year-old pupil at St Thomas More Roman Catholic High School. 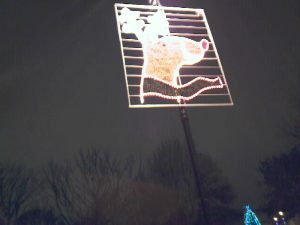 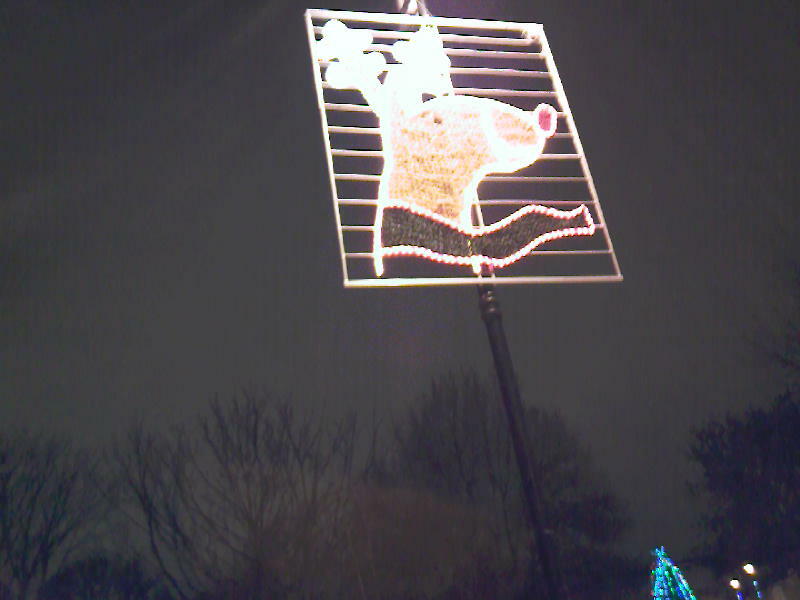 The winning design, which was made from light-emitting diodes for energy efficiency, features Rudolph the red-nosed Reindeer. 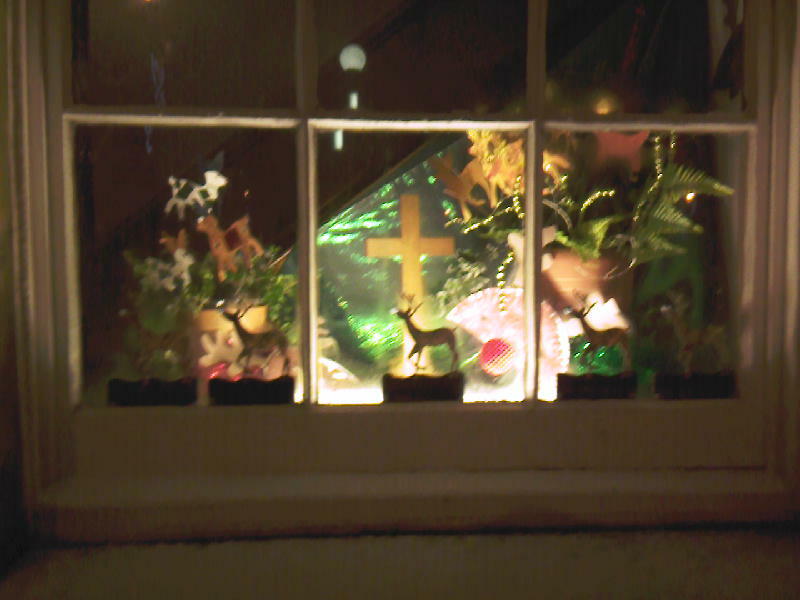 The official switching on ceremony was held on the evening of Friday 19 November in Northumberland Square, opposite the church building. Music and entertainment were provided for the gathered crowd by Metro Radio, the Priory Singers, and the cast of Whitley Bay Playhouse’s pantomime Snow White and the Seven Dwarfs. 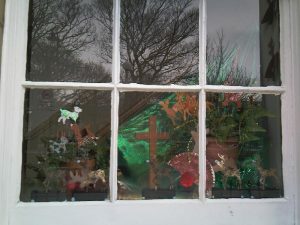 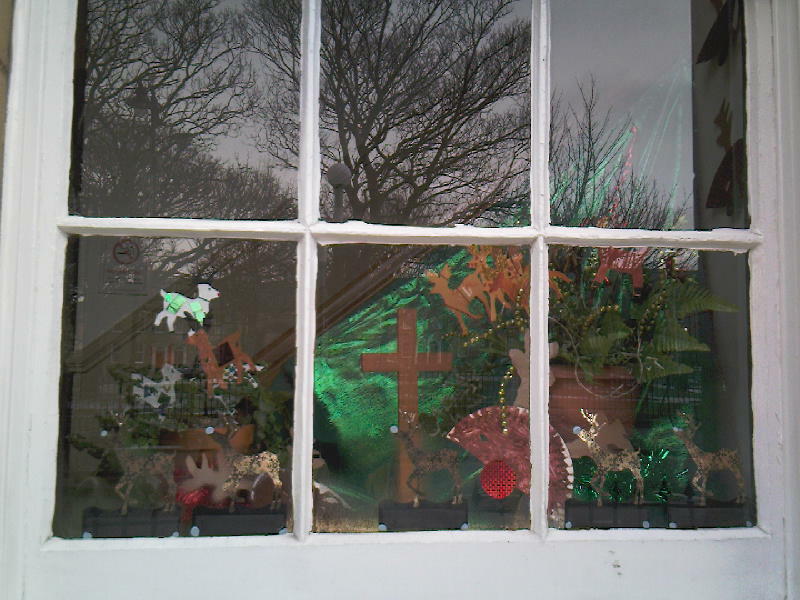 The young winner switched the lights on himself, and hot drinks and mince pies were served from the church, which had also decorated its own windows with a matching display on a reindeer theme. Further details can be found on North Tyneside Council’s website.